Maurice Magre (1877-1941) was one of the most far-ranging and extravagant French writers of fantastic fiction in the first half of the 20th century, and perhaps the finest of them, because of the fertility and versatility of his imagination and the manner and purpose for which he deployed it. This volume, the sixth of a series of twelve dedicated to Magre’s works, offers a collection of prose poems entitled Lotus Blossoms (1926) and the novel The Poison of Goa (1928). In it, the unfortunate Rachel, who is in desperate straits and has to undergo a terrifying ordeal, realizes that she has just found an unexpected opportunity to avenge the death of her mother and brutal torture of her father during a pogrom. 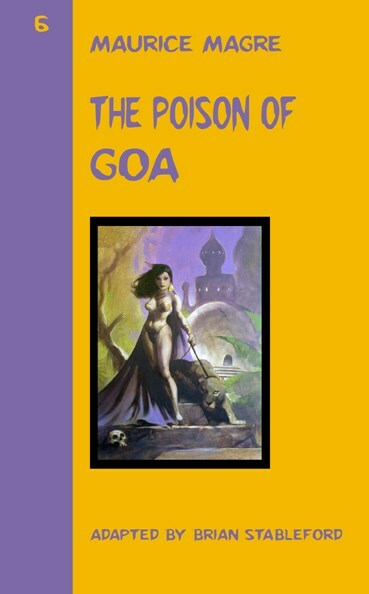 The action unfolds in the mid-19th century in the decadent Portuguese colony of Goa in India. The tense and dramatic plot, the graphic images of the city, as it is gradually consumed by the march of time, make the novel truly remarkable in both strength and artistry.